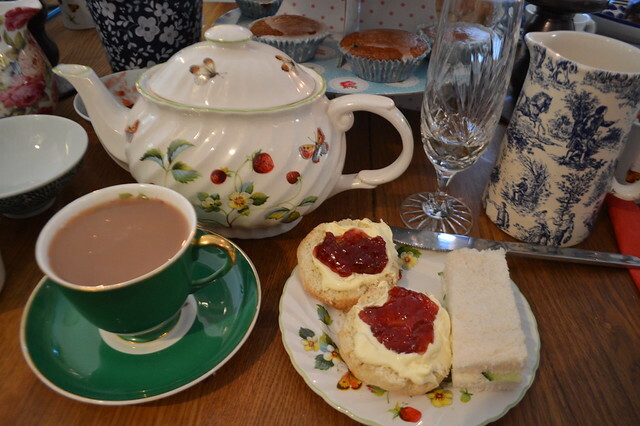 Afternoon tea can mean many different things to many different people. It can be an extravagant day out to a chic hotel eating miniature sugary delights, it can be a party for all your friends, the perfect idea for a hen party or a great way to catch up with a special friend. 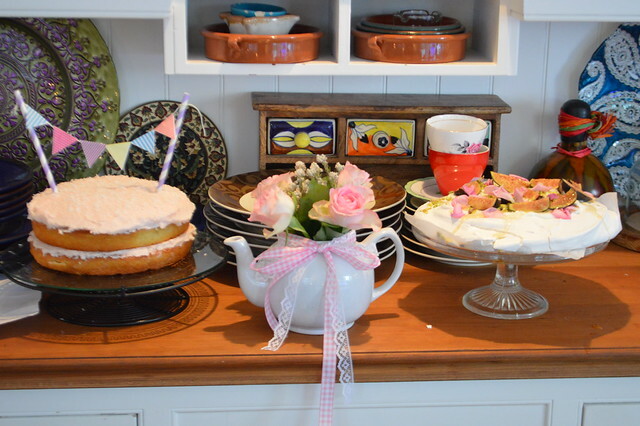 I'm going to share some of my tips, cheap decorating ideas and recipes which I hope will inspire you to host your own tea party like I do for birthdays and other special occasions. I think what really elevates afternoon tea to a grand occasion is the setting and attention to detail. A coffee and slice of cake with a friend is just fine but I love spending time planning what I'm going to bake and really going to town with the table setting. The cost of hosting a tea party could really run away from you but I always make everything myself and on a tight budget. Get your best table cloth out, if you own a tiered cake stand, dust it off and use it as the centerpiece of your table. Otherwise, use your best china and make it a little more special with doilies, folded napkins and homemade name place settings. I've been collecting tea cups and cake stands from charity shops for years and you could mix second hand things in with more modern pieces. I really like the mismatched look and I've never payed more than a couple of pounds for any of the items featured below. 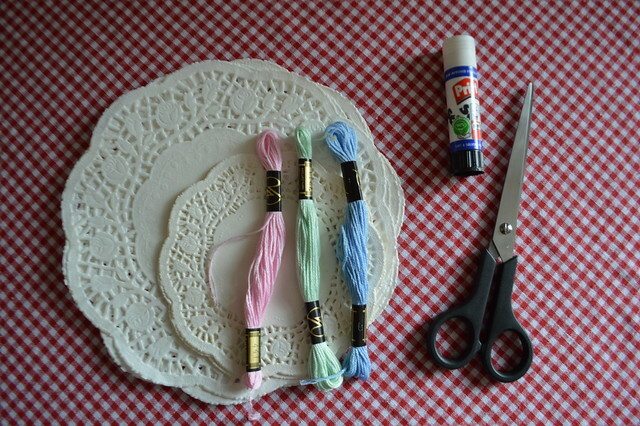 Finally, string up some bunting and you're feeling ambitious, make your own. 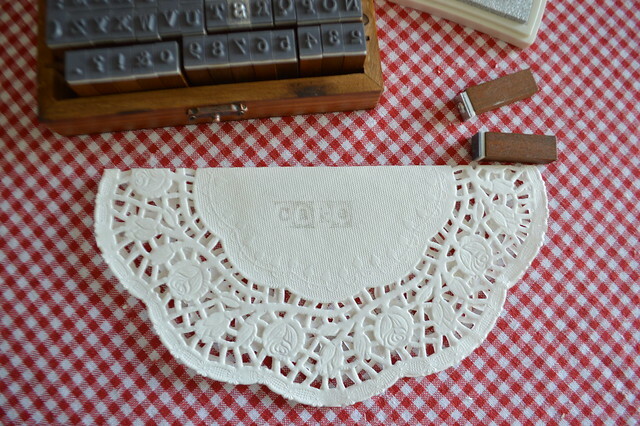 You can get some great free printable bunting online and I even found cute cake bunting which you can print at home. 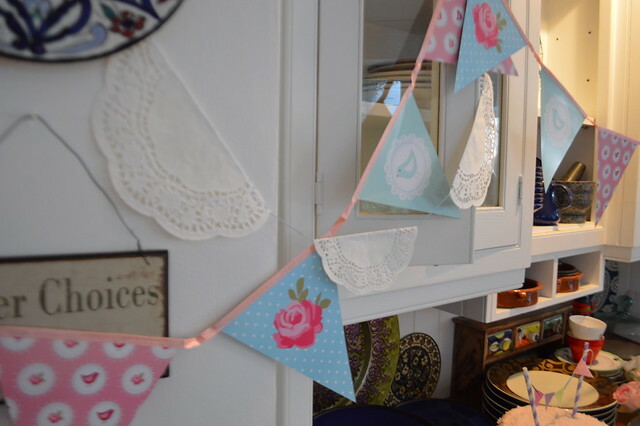 I made bunting with doilies and the materials cost under £2. 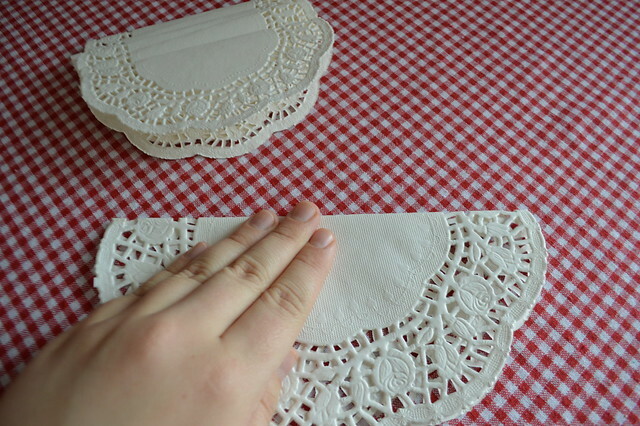 The doilies came in a pack of 60 from Poundland and the embroidery string cost about 35p each. Bargain! 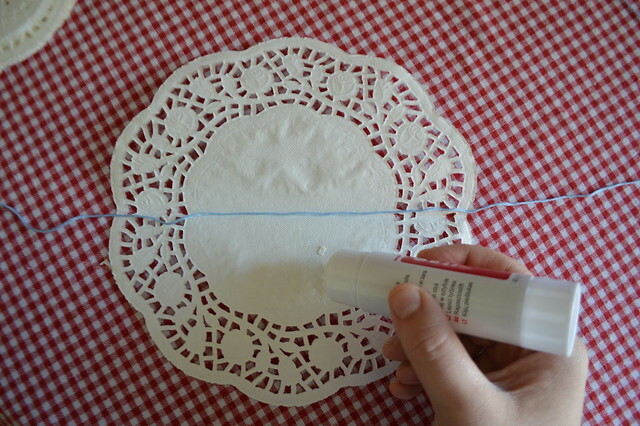 They are so easy to make, just fold the doilies over the string and glue down. You can customise your buting by drawing on it, stamping words on it like I did or just leave it plain. A standard afternoon tea comprises a layer of sandwiches, a layer of cakes and a layer of scones but don't feel constrained by this. You can add little pastries, more savoury food and maybe some biscuits. I try not to make too many fiddly items as it can be hard to get the timing right and tea parties are suppose to fun, not tiring. If you're going to make little sandwiches prepare your fillings in advance and assemble just before your guests arrive to avoid the dreaded soggy sarnie. Scones don't take long to whip up, I rely on this Good Food recipe to make mine. You really can't go wrong with that recipe and I don't think I would go back to shop bought after eating my own creations still warm from the oven. because they were nice and light which was a good call because eating loads of cake and sandwiches can leave you more than a bit weighed down. I would say the most important element of hosting a tea party is your guests. Invite your friends over, hold a birthday tea party for your loved ones and show someone you care with a cup of tea and a huge slice of cake. 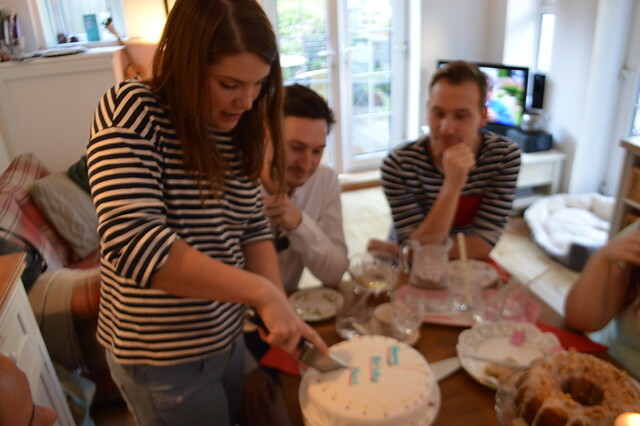 I'm more than happy to sit around eating cake on my own but it's much more fun with company. 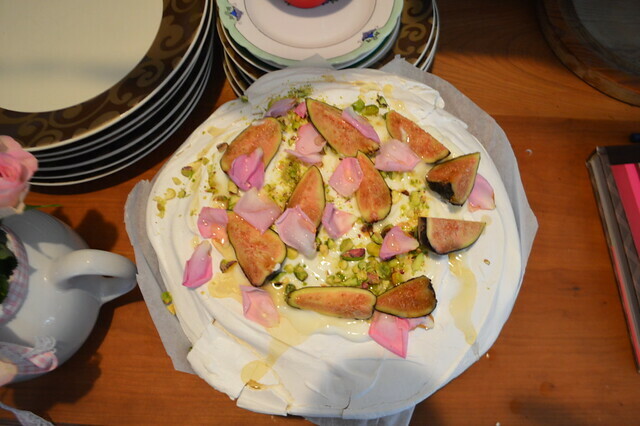 I hope this post has inspired you to host a little get together. If you have any afternoon tea tips for me please do let me know. I would love some savoury food ideas for my next one so links to recipes would be much appreciated. I don't have any tea party tips, but I wanted to say, this post has made me incredibly hungry. 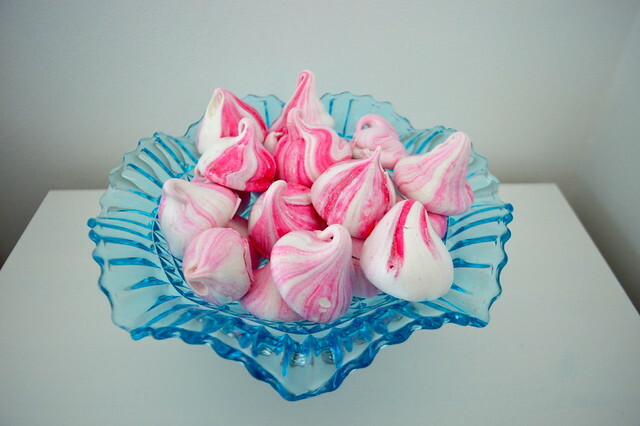 :) I especially love the meringue kisses. I love tea parties and tend to put on a big spread too. Yours looks lovely, especially with the bunting, which I have to say, I've never had. Love going out to posh hotels too, but that definitely doesn't happen very often. BTW, I've just read your about page. I'm a librarian too - wonder if there is something in the genes that makes library and afternoon tea go together. I was recently made redundant, so am concentrating on other things at the moment, but I wish you all the best in your Masters - mine seems like a very long time ago. So adorable! What fantastic ideas!